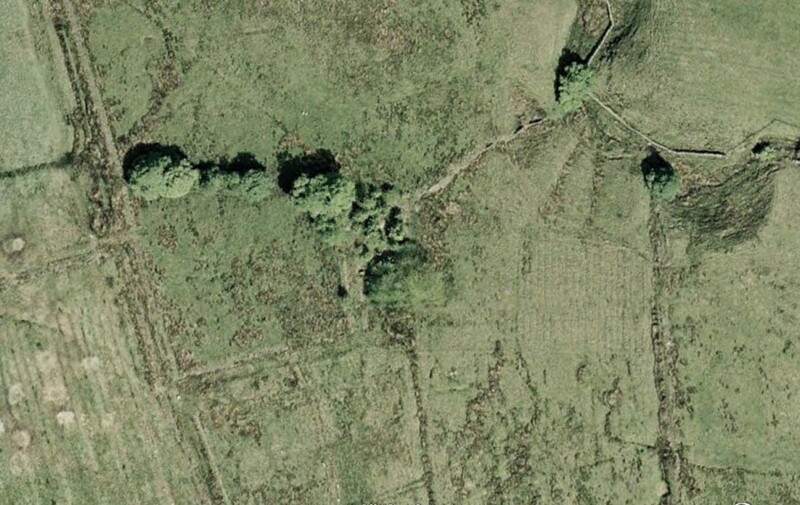 The ruins of Stoops are evidence of one of the smaller dwellings of the moors. 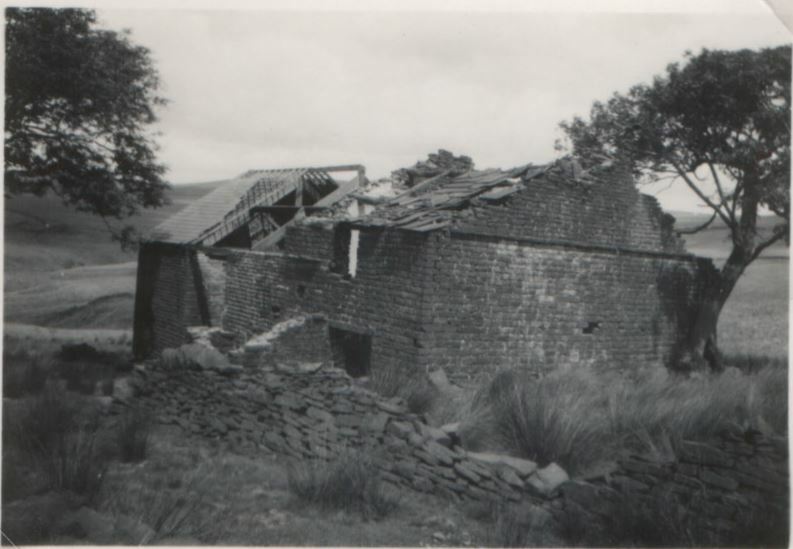 The barn was an extension of the house, like Old Rachels and Wilkinson Bullough. 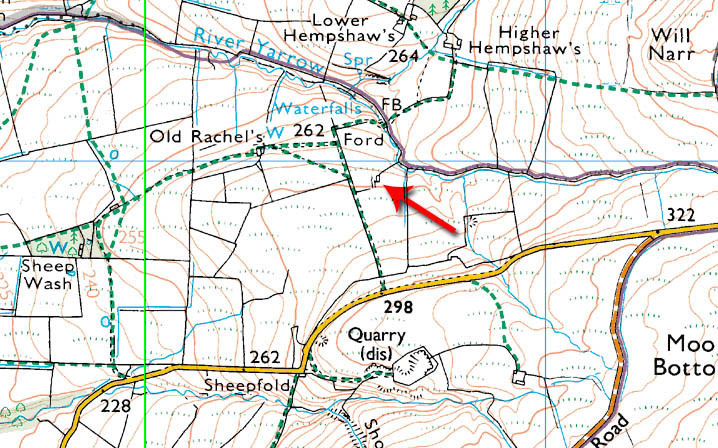 The footpath that runs just West of here used to be a cart road – it is still used by wheeled vehicles, albeit only the farmer’s 4×4’s that can run the route from here all the way round past Hempshaw’s and Simm’s to Lead Mines Clough. A short walk from the nearby road across gentle, but sometimes muddy, pasture, leads to the ruins of Stoops. The only photograph I can find… are these trees still standing? Stoops is between the footpaths and the Yarrow. Apart from its physical proximity to Old Rachel’s, there is another connection. The last occupants of Old Rachel’s were the Evans family. The daughter of Henry and Hannah Evans was called Martha. Martha married the owner of Stoops – the “stockman, cowman & shepherd” Abel Pilkington, in 1901. Abel Pilkington was born in 1858 and was approx. 42 years old when he married Martha Evans. Abel was known to be resident here at Stoops from 1868 aged about 10 years old. He was probably born here, but I can’t yet prove it. Once he and Martha had wed, they had two children at Stoops. They were Samuel and Hannah. Samuel was born around 1900, and he married a Florrie Matthews. Hannah was born on 22nd January 1902, and she died on 27th November 1981. This view is centred on the ruins. The trees are doing well – compare with the old map posted earlier in the article. Shortly after the birth of Samuel and Hannah, the Liverpool Corporation bought out all the moorland properties and sent them to ruin. The then-family of four moved to Moses Cocker’s. Abel and Martha then had four more children – Lucy Ann, Thomas, Martha (jr.) and George. Here’s Martha Evans, looking older than 23 years, therefore I believe this photograph to be from the time that she and Abel Pilkington were living at Moses Cocker’s. As for the child, take your pick from Samuel, Robert, Lucy, Thomas, Martha (jr.) or George. According the the Anglezarke Sources book in Chorley Library, all the ruins apart from Stoops had southerly aspects and are characterised by planted windbreaks of sycamore and birch, chosen for their hardy and quick-growing characteristics. This isn’t entirely true – Old Rachel’s had a westerly aspect, however, it was significantly sheltered by the land. There was an earlier family in the property way earlier than Abel Pilkington’s tenancy. The Hilton family were present many decades earlier – I wonder if this included Nick Hilton, whose name is given to a bridge between here and the M61 motorway? Abel Pilkington who married Martha Evans was born on 9 Aug 1858 and bap on 19 Jun 1859. He was the son of Samuel Pilkington bap 1809 Rivington and Ann Holt bap 1828 Rivington. Samuel was the son of Thomas Pilkington 1779 and Mary Vause of Stones House, and Ann bap 1828 was the daughter of Charles Holt bap 1805 and Jane Pilkington bc 1807 the daughter of Samuel Pilkington and Betty Ainsworth. Thomas and Samuel were brothers. In 1861 Abel was aged 2 at Simms Farm until 1881 when he was at Snape’s farm, then by 1891 his family lived at Waterloo Houses, Heath Charnock. In 1901 he was a stockman at Lower House Farm Rivington and shortly after in August of that year married Martha Evans. 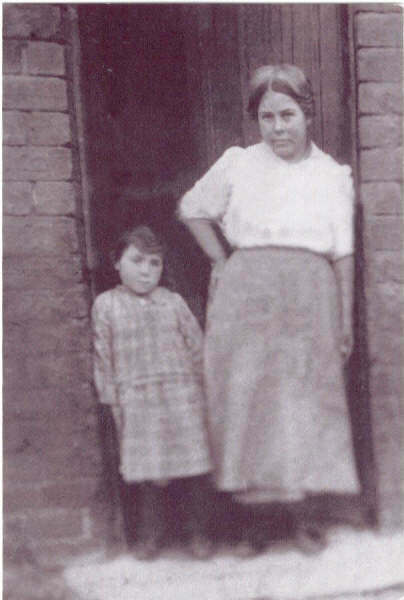 In 1902 their daughter Hannah Pilkington was born at Stoops Farm but they moved into Horwich at 16 High Street by the time their youngest son George was born in 1917 .